Good News! I think the bulk of the pollen is behind us here in South Carolina. That means I can finally start decorating our porches for outdoor living. To get my creative juices flowing, I ‘d thought I check out some inspiration. I hope these inspire you as well. Town and Country Living always inspires me with her cozy, inviting farmhouse style. I'm hoping to get started on painting our porch ceiling haint blue soon. 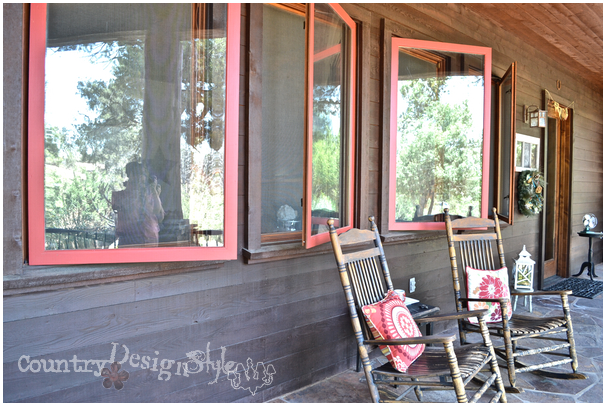 The Everyday Home has really created a heart warming porch with reds. I especially love the touch of the fabric panels. Cupcakes and Crinoline has an adorable porch with the whimsical bird sign. 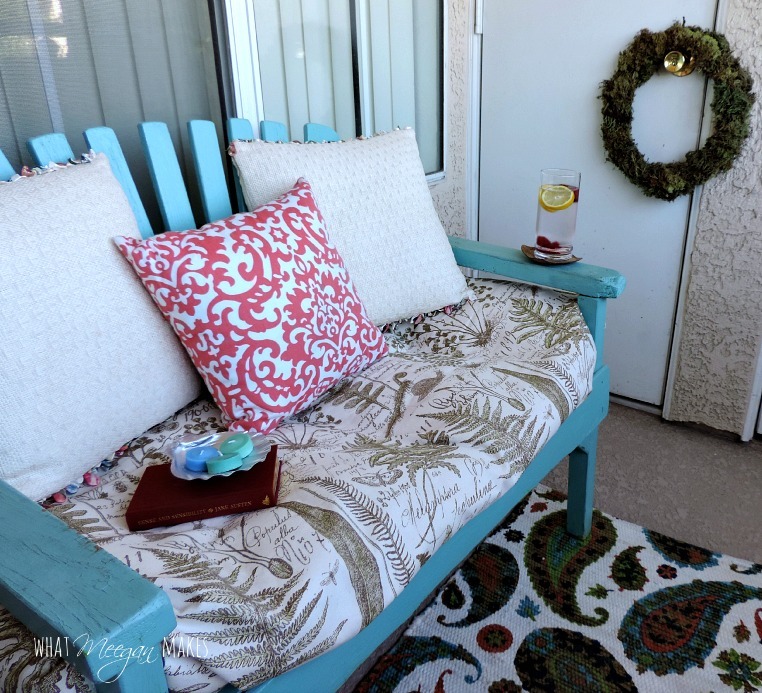 What Meegan Makes proves that even a condo porch needs styling. Meegan is so creative with her thrifty finds! A Stroll Through Life is not afraid of patterns and color. 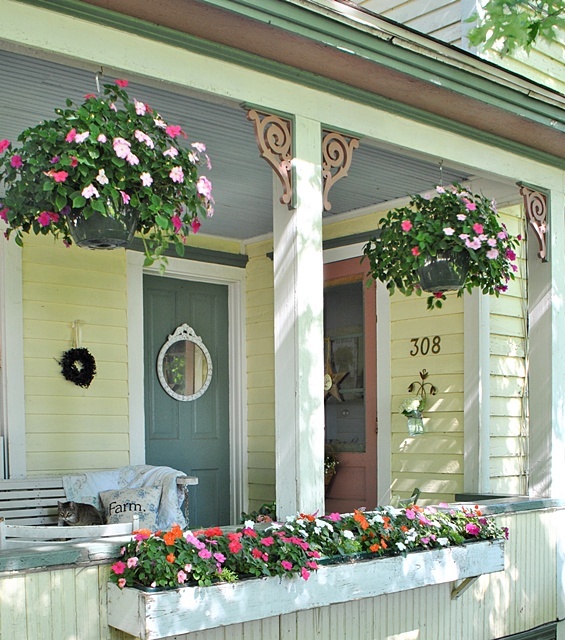 I love the combination to create this welcoming front porch. Cedar Hill Farmhouse has a lovely porch at the ranch. I adore her porch with vintage finds. She even found that daybed on Craigslist! Farm Fresh Vintage Finds is fabulous with the paint brush. Do you have cushions you are tired of….Beth painted hers! Country Design Style is just that…comfortable, gorgeous country-style. I'm smitten with the window color. Smart how she brought the color out with the pillows. Lovely etc. 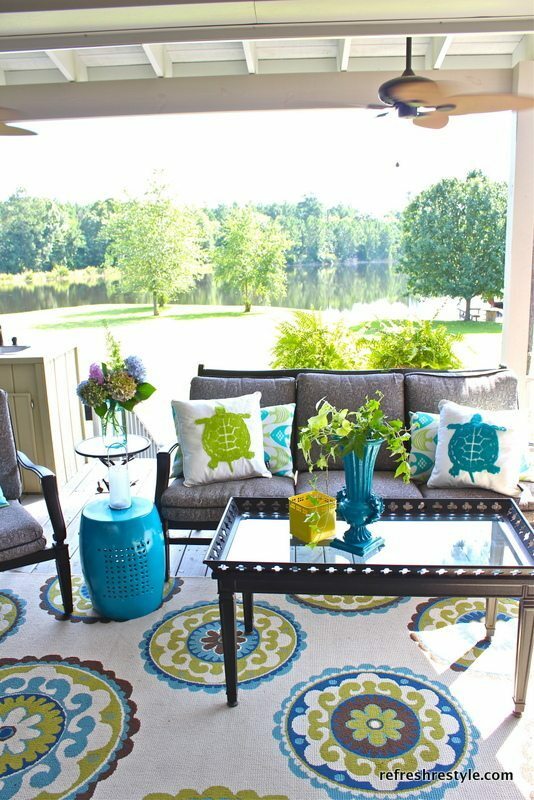 created this to die for porch floor! 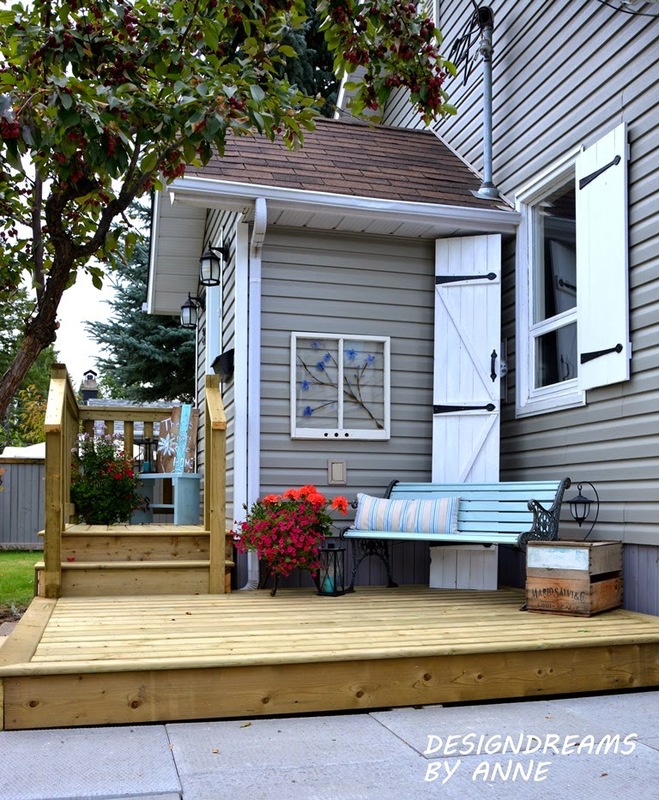 Design Dreams by Anne has a great deck that feels like a porch. The reds in the flowers look so great with the aqua bench. Top This Top That has fabulous style. The neutrals with the yellow accents are perfect! Refresh Restyle has a fun, creative style that matches her shining personality! 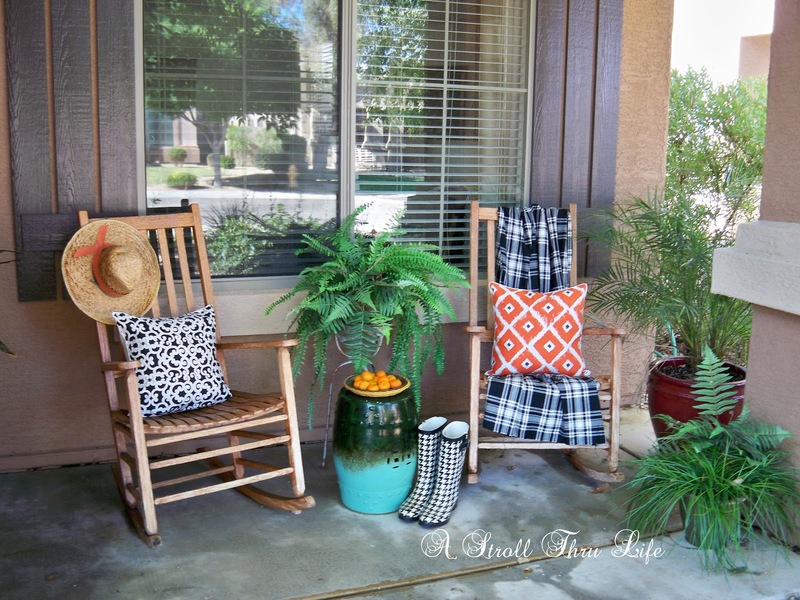 Our Southern Home (me) My front and screened porches are perhaps my favorite spots to decorate. Between Naps on the Porch always amazes me with her ability to create an outdoor room. It All Started with Paint goes bold with stripes! It's classic and allows you to add additional patterns and colors. Aren't the Hydrangea beautiful! 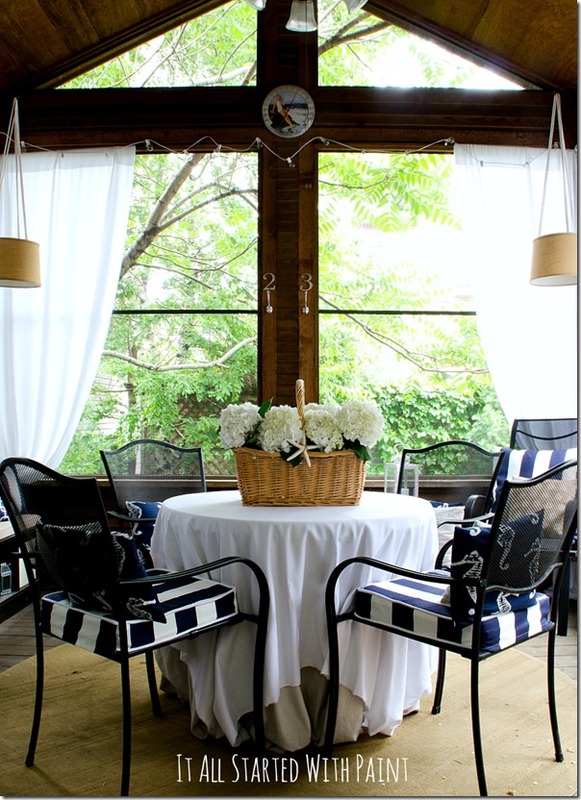 Create a fun porch lampshade with outdoor fabric by Our Southern Home. Chalk paint your outdoor furniture in a new fresh color! 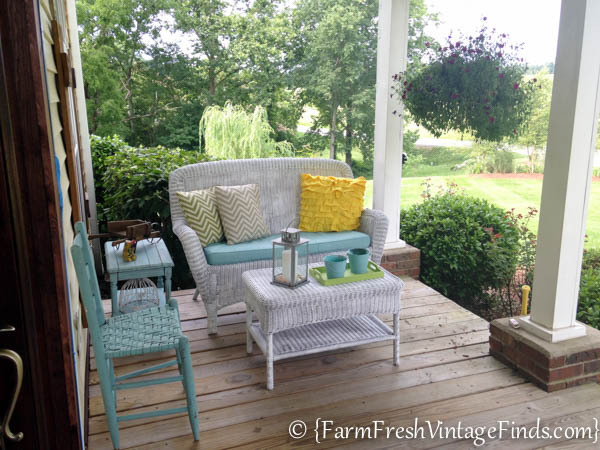 Thrift store furniture is a perfect addition to porches. 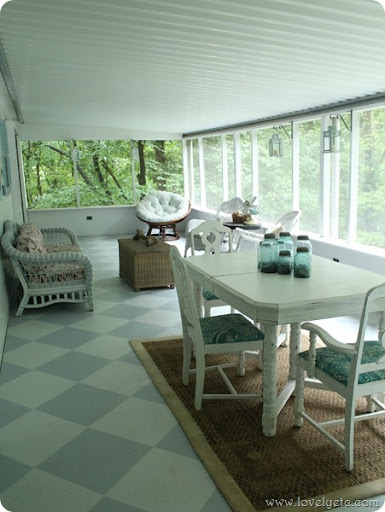 Tip to bring the indoors out! Please share your porch decorating ideas! Hi Cristy, those are some great ideas for . We are looking to give ours a new look and I really fond these ones to give me ideas on how I would want it to look like. I had earlier tried Pinterest but it seems a little limited when it comes to porches. 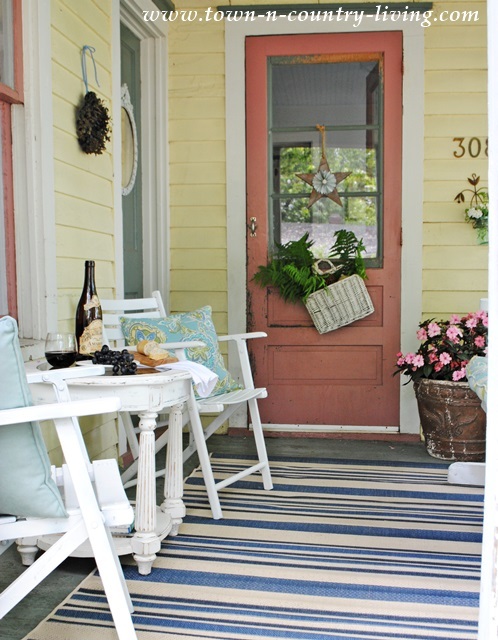 Porches are so fun to decorate! Glad you found some inspiration in the post! I loved your article . I felt someone is writing exactly what I feel. Each piece of furniture in my house has a story behind it. Cedar Hill Farmhouse porch is truly awesome! I love how simple it is yet so looking elegant. I really love it! Inspiring design. Been there when our lab was a puppy. At 10 she’s no longer destructive! Of course the year and a half westie keeps chewing my shells up on the tables! So many fabulous porches. I love them all, but I really am drawn to yours, it is stunning. 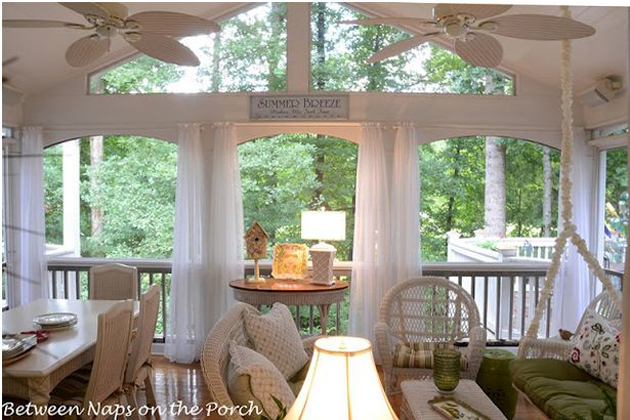 I love a large porch and you have created such an amazing and welcoming space. Thanks tons for featuring mine, I am thrilled to be in such great company. Thanks so much! I live yours Marty!! !